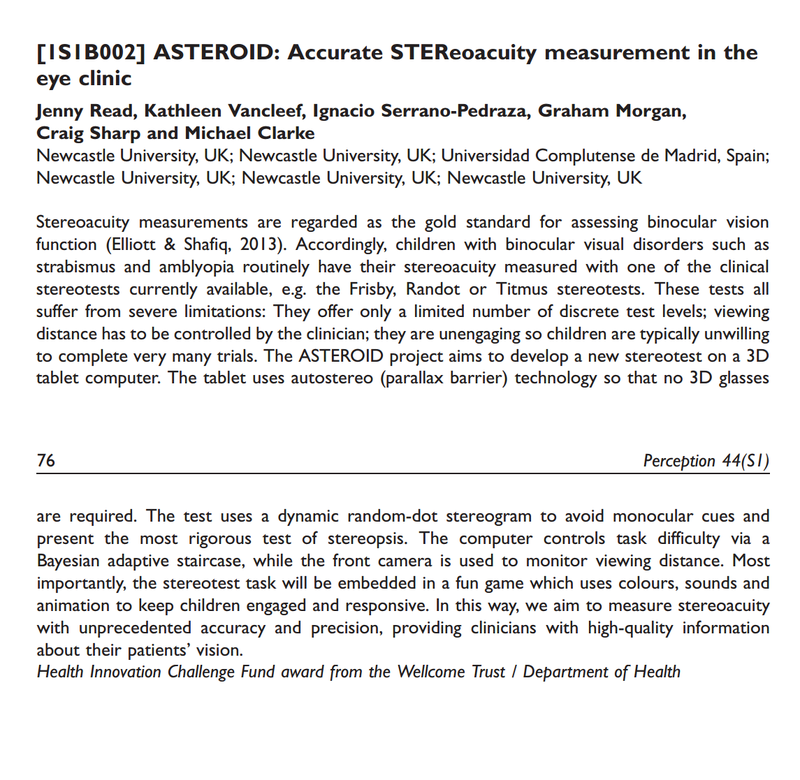 These are the publications to have come out of our ASTEROID: “Accurate STEReoacuity measurement On a mobIle Device” project so far. Please click on the titles to download a PDF. Overestimation of stereo thresholds by the TNO stereotest is not due to global stereopsis. The stereoscopic anisotropy develops during childhood.